Kidsfit Cardio packages come completely ready to go. All eqyuipment comes fully assembled and includes aerobic charts, muscle posters and station cards which help teach the movement and highlight the muscle groups being worked. Unique Movement Exercises the external oblique and entire range of central core muscles including transversus abdominis back and pelvis, while providing a complete cardiovascualr and/or fat burning workout. Contoured kneeling pads ensure the child will always be properly positioned on the unit. 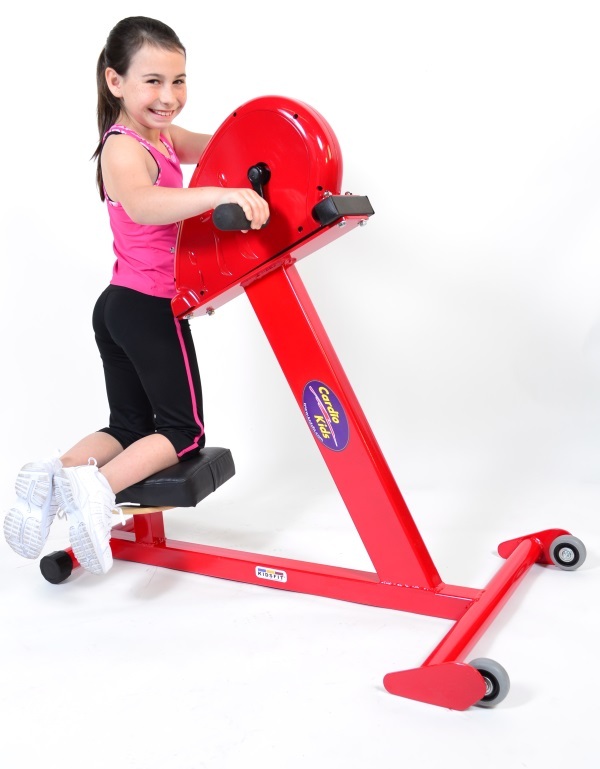 Child size crank arms provide proper fit for children to push and pull utilizing the entire upper body. (L=36" W=24" HT=48") Shipping Weight 125lbs INCLUDES: upholstered spinning pad, kids friendly computer (reads distance, time, calories, and speed) and portable wheel system. Call 1-800-875-9145 to speak with one of our fitness advisors with any questions you may have. Go to FitnessZone.com today to order your Cardio Kids 667 Kidzcore Kneel and Spin Elementary. 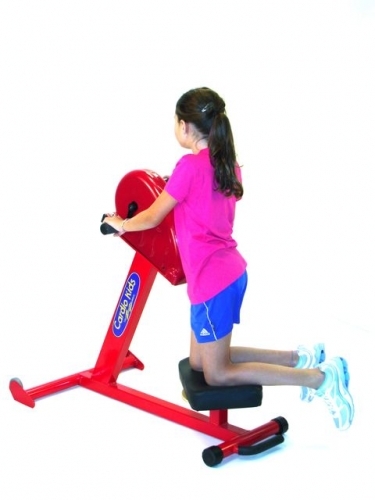 Order your Cardio Kids 667 Kidzcore Kneel and Spin Elementary from FitnessZone.com today!